But anyway, yeah. Thanksgiving. Our congressman has still not introduced that bill we suggested whereby people who had happy childhoods have Thanksgiving, and the rest of us get to spend the 4th Thursday in November riding all the rides at Six Flags for free. Until that happens, we’ll continue to hide a flask in our purse before heading over to the family get-together, and we’ll bring a kickass dessert. This year, it’s cake. We know, Thanksgiving makes you think pie. But this rich, moist cake features a classic classic Thanksgiving staple, sweet potatoes, or yams if that’s what you like to call them. 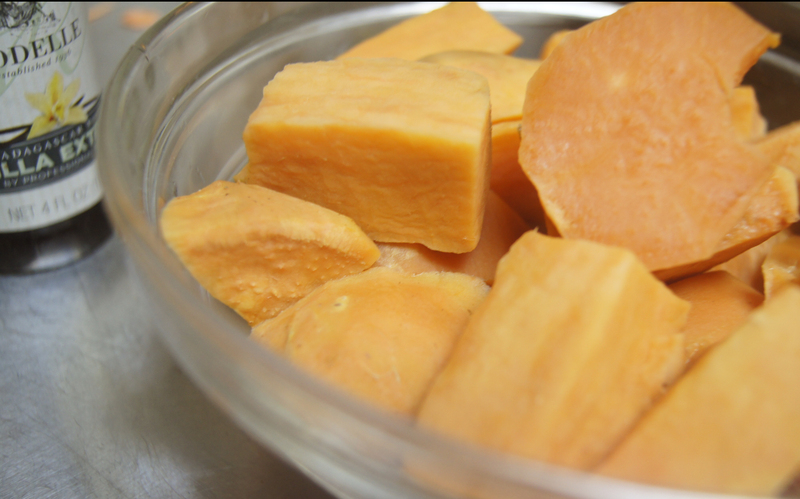 The sweet potatoes’ naturally sweet and fruity flavor gets a boost from crushed pineapple. Pineapple, of course, is also a great holiday ingredient, since it’s available canned all year. But this year let’s have it in cake and not jello salad, okay? A rich rum glaze tops it off, because rum is a perfect counterpoint to the pineapple and sweet potato flavors, and makes you a little less likely to punch your brother-in-law at the table. Preheat oven to 350º. 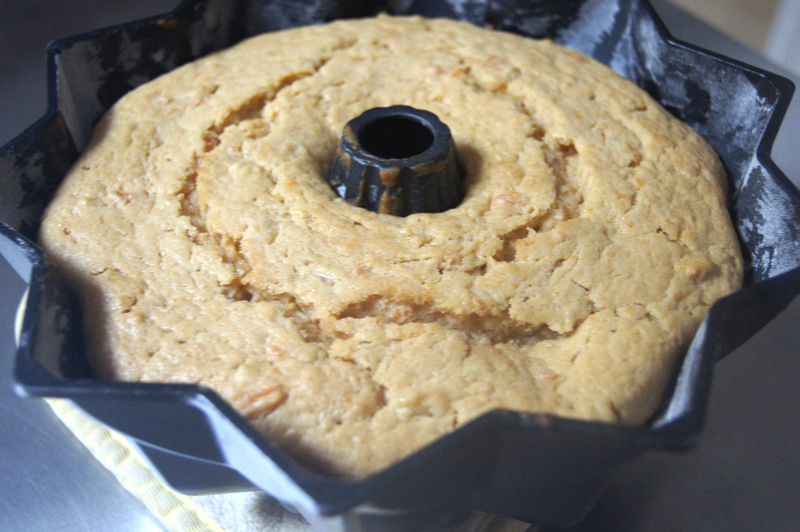 Butter and flour a 10 cup bundt pan. Steam or microwave the sweet potato until cooked through and soft. Scoop the flesh out into a bowl and mash. It doesn’t have to totally smooth, some very small chunks will look pretty when the cake is sliced, and make for a more interest texture. Measure out 1¼ cups of mashed sweet potato and set aside. Whisk together the flour, baking powder, baking soda, salt, and spices. In a separate bowl, use a handmixer to mix the butter and brown sugar until fluffy. Mix in eggs and vanilla until well incorporated, then stir in yogurt. Fold in the 1 ¼ cups mashed sweet potato. Then gradually ad the flour mixture using the handmixer set on low. Fold in the pineapple, and pour batter into prepared bundt pan, and bake for 50-55 minutes, until a toothpick inserted near the center comes out clean. Cool in pan on a rack. Invert cooled cake on to a cake plate. 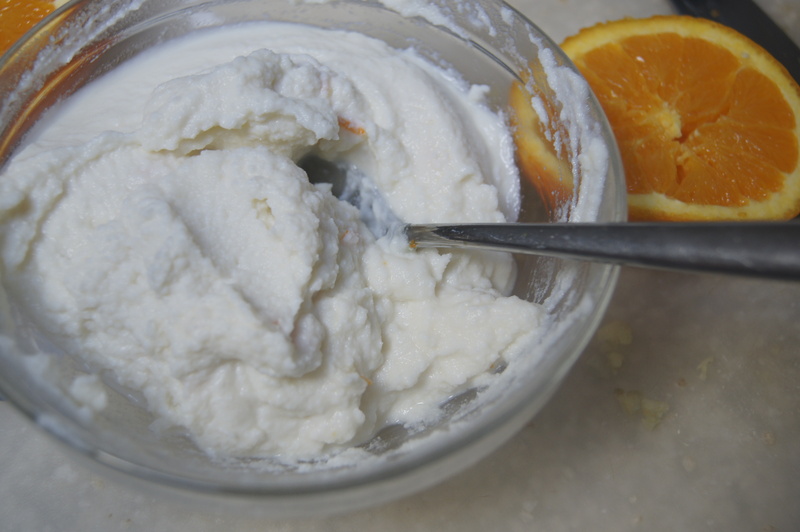 Using a handmixer, mix together cream cheese and butter until fluffy. Mix in the cream cheese and then the rum. 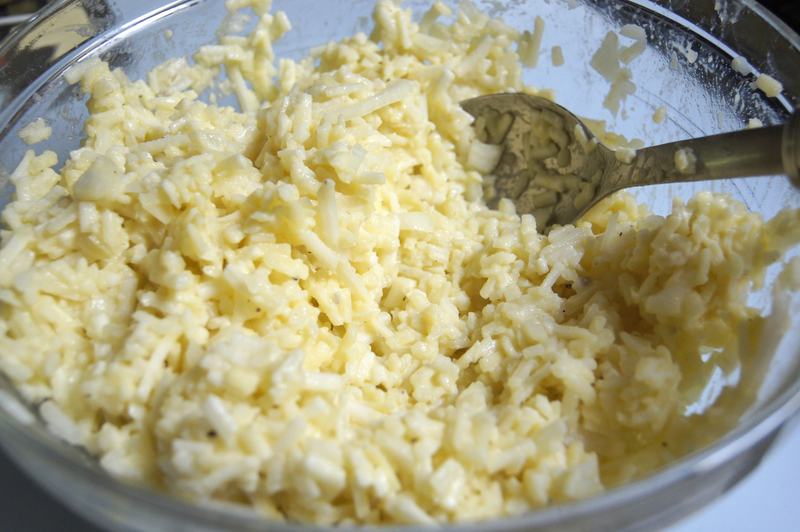 Stir in crushed pineapple. 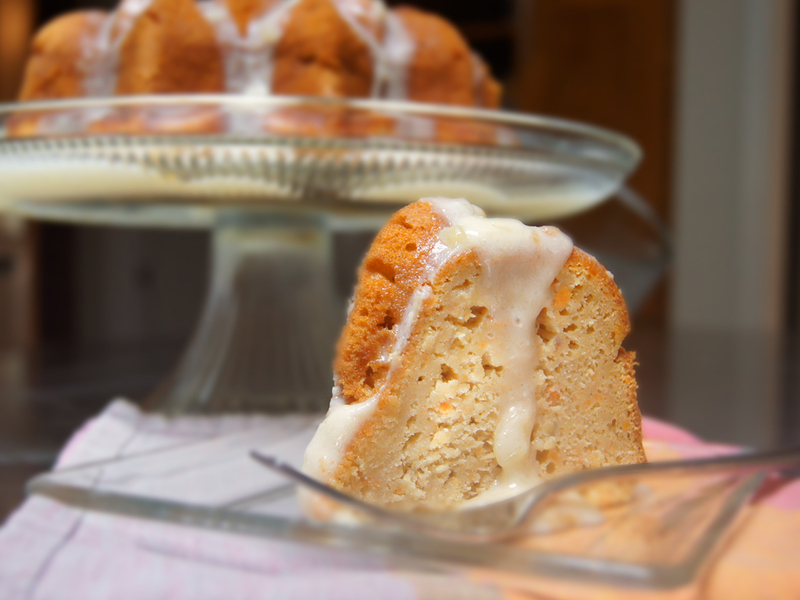 If glaze seems too thin, mix in a bit more powdered sugar; if it’s too thick , thin it with a little more rum or some milk. We say go with the rum. 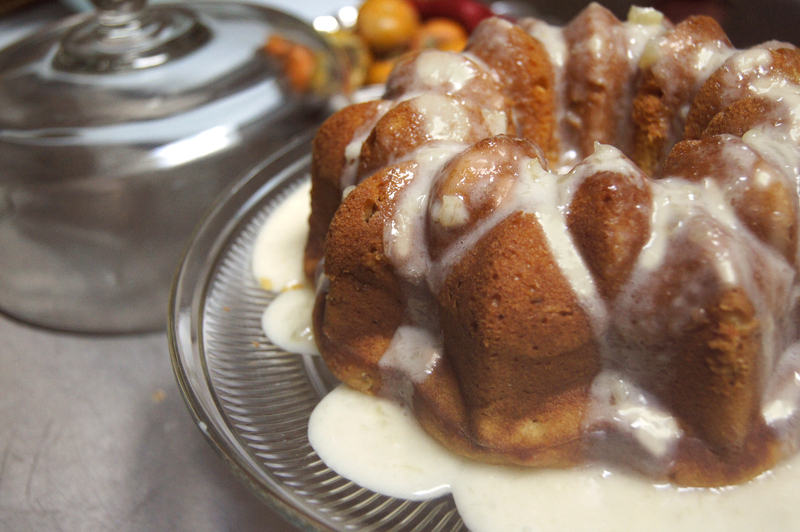 Pour your yummy rum pineapple glaze over your yummy cake. Serve immediately, or refrigerate and bring to room temperature before servings. Even Luscious Pastry sometimes puts on a pair of jeans and turns around to look to at its backside in the mirror and says “Oh, dear. Too much cake.” Time to think thin, Luscious. 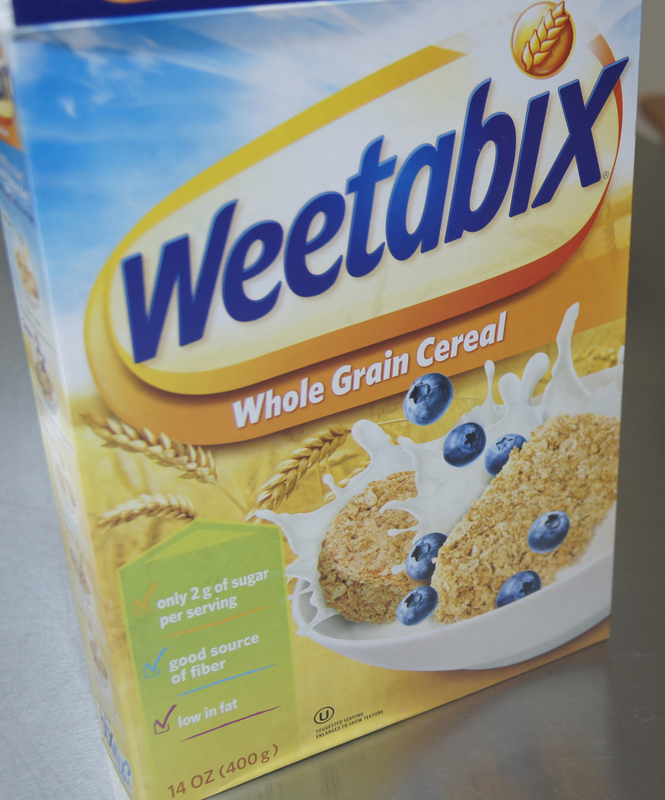 The upshot of that was the misguided purchase of an extremely large box of Weetabix cereal. It looks so healthy and wholesome and British in the picture on the box. In a bowl with milk, however, it looks like… eww. So mushy and tasteless. Still looks British, though. “Gruel” is one of those things you read about in Dickens novels, but never actually see, unless you buy some Weetabix and add milk. Luscious: Do you like it? Offspring: <munch, munch> Mwuchmpgf sdmucht. Offspring: Tastes like a <munch> mufthsnsuhs. Luscious: What? Tastes like muffins? Offsrping: <mmfumph> Tastes like <crunch crunch> a moth’s nest. 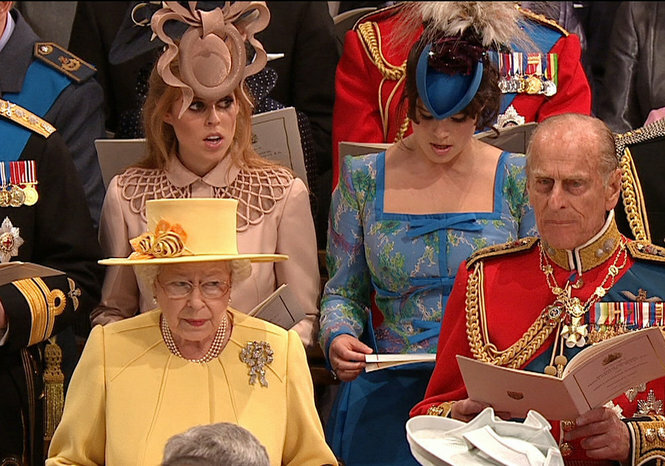 At this point, Anne-Charlotte was penning an angry letter to the British royal family while Jennifer was resourcefully looking up Weetabix recipes on the internet. There were several, almost all from the UK. How does Weetabix Vegetable Bake sound? Or “Marshmallow Slice”? Not vague enough for you? Then how about something called Nancy Slice? After reading the recipe four times, we’re still not sure what “slice” is, but we think it’s the reason England lost all of its colonies. 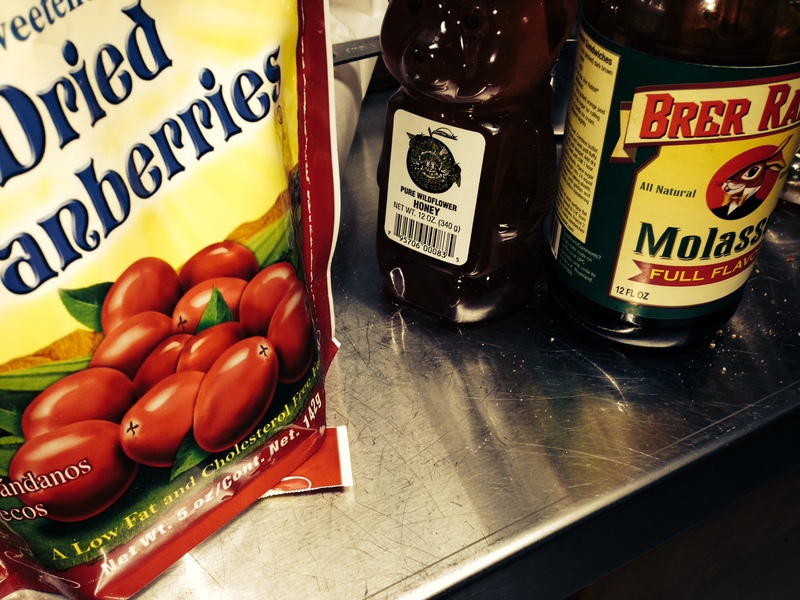 Not to be defeated (like England in the War of 1812, ha ha), Luscious decided to make up our own damn recipe. 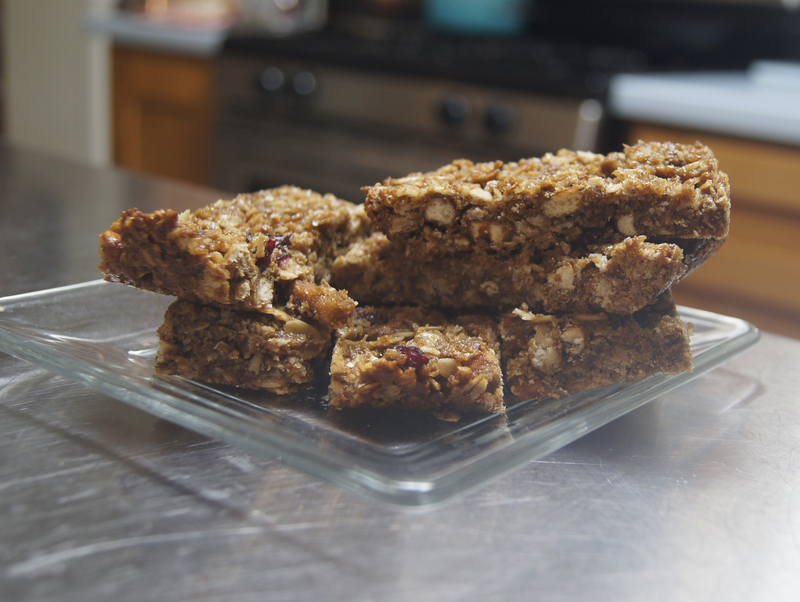 It turns out homemade granola bars are the perfect place to hide a bunch of Weetabix. Plus, the weetabix doesn’t get all mushy here. PLUS granola bars are sound healthy, and Luscious was trying to be health-conscious when we bought that damn Weetabix to begin with. DOUBLE PLUS these are EASY to make and freakin’ delicious. Crunchy, sweet-salty, peanut butter & jelly-y-y. Seriously, best granola bars you ever done ate. Make a batch and send a few to Parliament, just to remind them that we do it Luscious-style in the States. 3 Weetabix biscuits, crushed OR 1 ½ cups crushed cornflakes or rice chex or other crushable cereal- whatever you got around. 4 tbs melted butter or coconut oil. Or canola oil, if you’re that type. Grease a 7 x10 glass baking dish, preheat oven to 350º. Spread oats evenly on a baking sheet and toast for 10 minutes in your preheating oven. 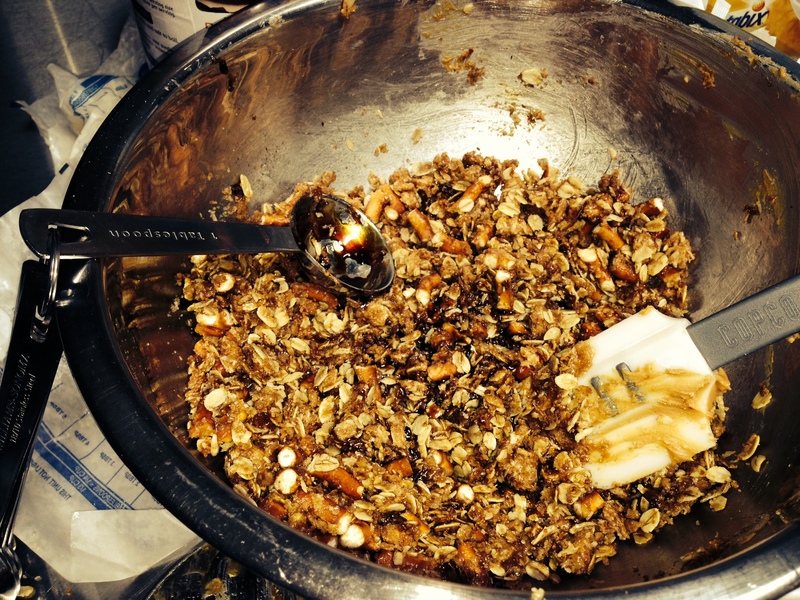 In a large mixing bowl, combine toasted oats, the f&#@!g Weetabix, pretzel pieces, and salt. Stir in melted butter, brown sugar, molasses, and honey. Mix in the beaten egg, blending well. Next, add the peanut butter, likewise mixing until well incorporated. Lastly, fold in cranberries. Was that easy, or what? Spread mixture into the prepared baking dish, and sprinkle lightly with additional sea salt. Bake at 350º for about 15 minutes, until the granola starts to look a little toasty around the edges. Refrigerate for 2-3 hours until set, and cut into bars. breakfast, brunch, crepes, egg thievery, French food, intervention with Lindsay Lohan., orange crepes, orange syrup. Is that Lilo eating a Peanut Butter Bad Girl Bar?? While you wait for us to enter rehab, make these lovely crepes. These would be so nice for a leisurely family weekend breakfast with a fruit plate, or you could double the recipe and take a whole dish of crepes to a brunch potluck. Plus you can do some prep the night before). And yes, okay, they would make a really elegant dessert: splash a little orange liqueur over them at the end and flame ‘em up: FANCY! 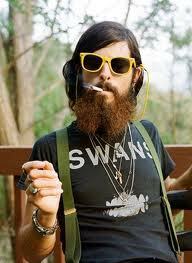 Just be sure to use a long-handled match, not the regular ol’ bic lighter you usually use to light your Virginia Slims. Somebody at Luscious learned that one the hard way. 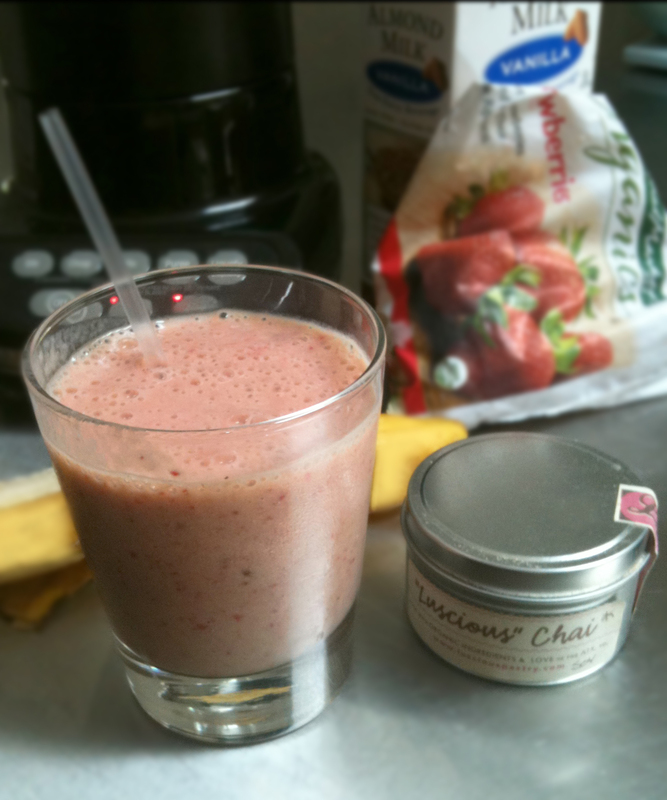 Put all ingredients in a blender, and mix until smooth. Put the blender pitcher of crepe batter in the fridge for at least 30 minutes so the batter can rest and the gluten can do it’s thing with the liquids. 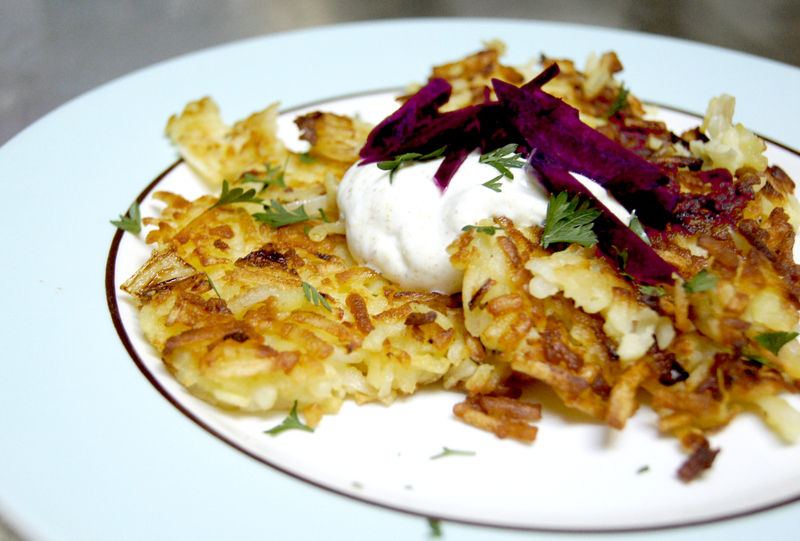 You can also make the batter the night before. Stir together all ingredients in a sauce pan over medium-high heat. Cook and stir until sugar is dissolved. Reduce heat to medium and allow syrup to simmer so that it reduces slightly. Keep warm until ready to serve. Or make ahead and refrigerate, then warm over the stove or in microwave when ready to serve. Mix together all filling ingredients. Keep refrigerated if not serving crepes immediately, can be made ahead the day before. Pour crepe batter directly from the blender. Time to make the crepes! One supposes the proper equipment for this is a crepe pan, because we all have one those, right? Luscious like to use a small non-stick pan, even knowing that it makes French people made at us. We’ve heard that Teflon is a carcinogen, so we don’t recommend eating the pan. Using medium heat, melt enough butter in the pan to coat. Keep the butter on hand to re-oil the pan as need. Pour a small amount of batter into the pan, tilting the pan to coat. The crepe should be very thin, a bit thinner than the average thin corn tortilla. (You can make thicker crepes, but then you run out of crepe batter really fast.) 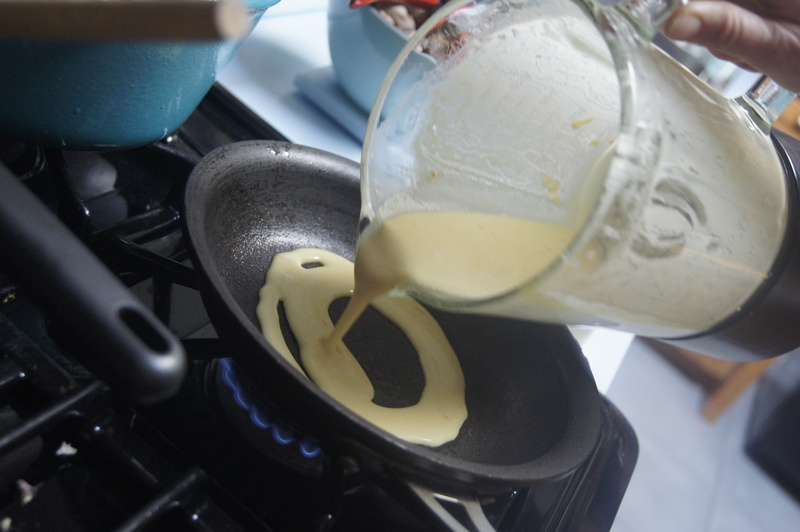 After the top starts to bubble and the crepe seems set on the bottom, flip using a broad spatula and your fingers. Cook the 2nd side for a few seconds, then place on a sheet of wax paper on a plate. Keep crepes warm in the oven between pieces of wax paper until ready to assemble and serve. What’s French for damn good? To assemble crepes, put 3 or 4 tablespoons of filling down the center of a crepe and fold in the sides enchilada-style. 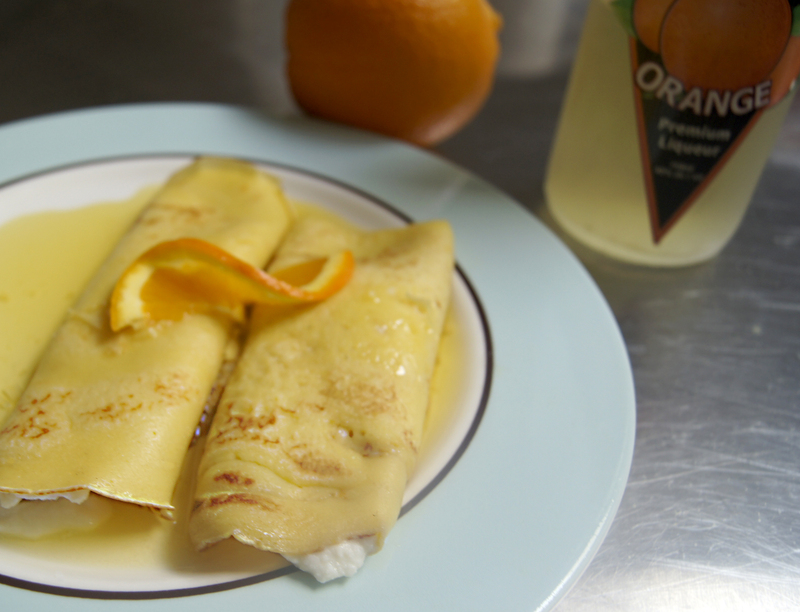 Spoon warm syrup over crepes and garnish with thin orange slices. Hello breakfast! Only 88º today? Feels like Christmas! 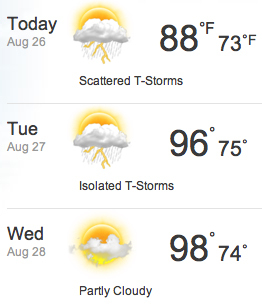 It’s late August in Austin, Texas, and our summer high temperatures have only been reaching into the gentle 90’s. This is what we refer to as “spring-like weather” here. Usually, by this time of year, we’re suffering through heat that puts Aquanet users at serious risk of having their hair-do combust upon leaving the house. But on days when Austinites suffer through the sensation that a giant blowdryer is trained directly on our city, we’re at least comforted by the hope our notoriously brutal heat has surely prevented at least one person from moving here that day. It’s not that we don’t like new people– we do, we really do. We’re just not sure where we’ll put all of you, and it wouldn’t surprise Luscious if Austin has to build some sort of intake center for refugee hipsters. American Apparel can pass out goodie bags at the entrance and Fader magazine can put up a big tent and… oh, wait, we already have that, it’s called South By Southwest. or email us directly at yummy@lusciouspastry.com. Really, why would you even try to please a person like that? But he does like pie, God bless ‘im, so we created this version of lime pie just for him, the big grouch, with a shortbread cookie style crust, and sour cream to make it extra tangy. Are you happy now, Mr. Luscious? Pre-heat oven to 350º, and have ready a 9” tart pan with removable bottom bottom. Spread the coconut out on a cookie sheet and toast in the oven for 5-8 minutes. Watch it carefully, because of the sugar it will go from “hmmm, it’s not toasting” to “ohmygod, it’s burnt to a crisp” in approximately 56 seconds. Whisk together the flour, salt, and sugar. Then whisk in the toasted coconut. Drizzle the coconut oil over the flour. Cut the butter into pieces and add to the flour. Cut the butter and oil into the flour mixture with a pastry cutter or fork. 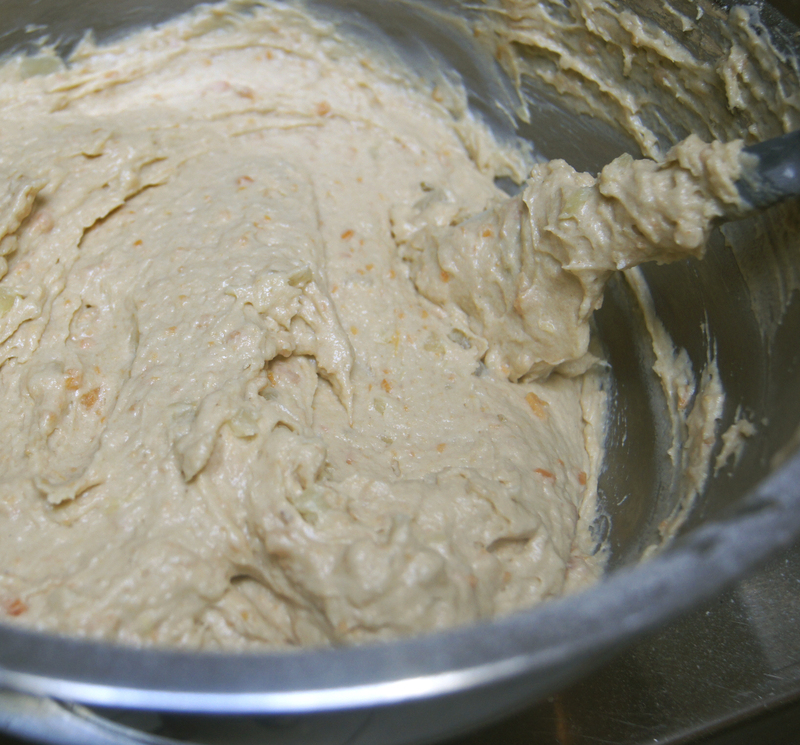 When the mixture begins resemble fine crumbs, drizzle the cream over the dough and mix in with a spatula. Press the dough evenly into the bottom and sides of a tart pan. You may accidentally eat a little of the delicious dough, oops. Prick the bottom and sides all over with a fork, and bake for 16-20 minutes until lightly golden brown. If it puffs in the oven, you can prick it again while baking and it will deflate. Many fresh limes are squeezed to death for this filling. While the crust is baking, make the filling, with is super easy once you’ve juiced and zested the limes. 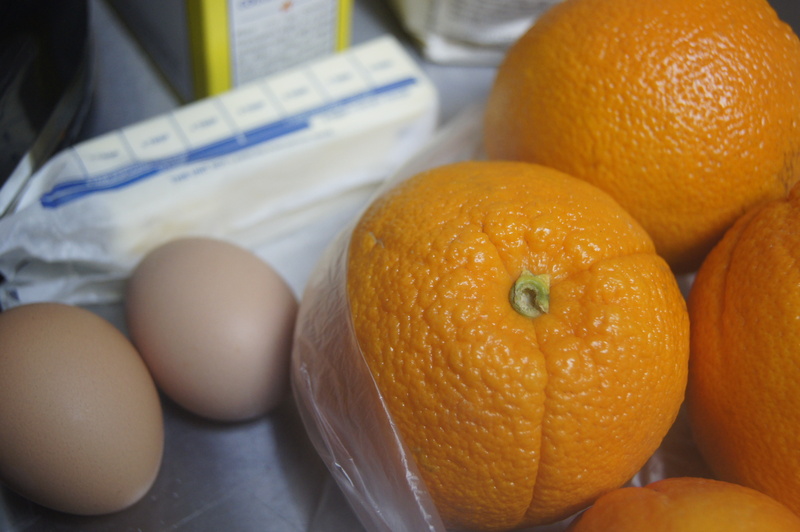 Oh, and, well, separated all the eggs… okay, this pie is not all that easy to make, but this part is. Mix together all the filling ingredients. Bam, that’s it. Now, we know you’re thinking… I’ve put 3 egg yolks in the filling and I’ve need 4 egg whites for the meringue, what the heck am I supposed to with this extra egg yolk? Luscious always has a plan (sometimes it’s a bad plan, but not this time.) Mix the 4th egg yolk with a pinch of salt, and brush across the surface of your slightly cooled but still warm pie crust. This will help prevent the filling from making the crust soggy. Pour the filling into the crust. Bake for 7 minutes. The filling will be thickened but still jiggly. Beat your egg whites like they’ve been really bad. While the pie is baking, make the meringue. This will either go beautifully or be a disaster, you have to just accept that fact and have some whipping cream on hand for a plan B pie topping. Eggs whites can be fussy to work with, but just stay with us on this, and you should wind up with a lovely meringue. Put your egg whites into squeaky clean dry bowl. If there are any bits of yolk in your whites, try to remove them. 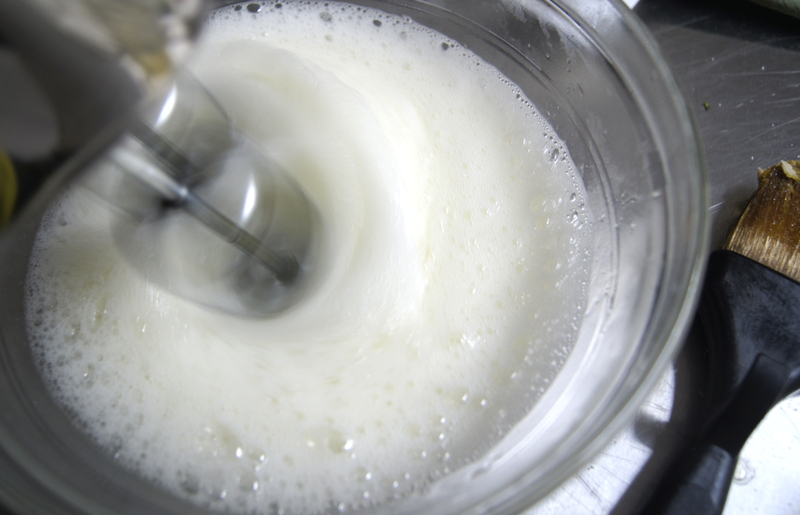 Using a handmixer with very clean beaters, beat the egg whites on med high until white and foamy. Sprinkle in the cream of tartar and beat until until soft peaks form. Slowly, GRADUALLY add the sugar while beating. 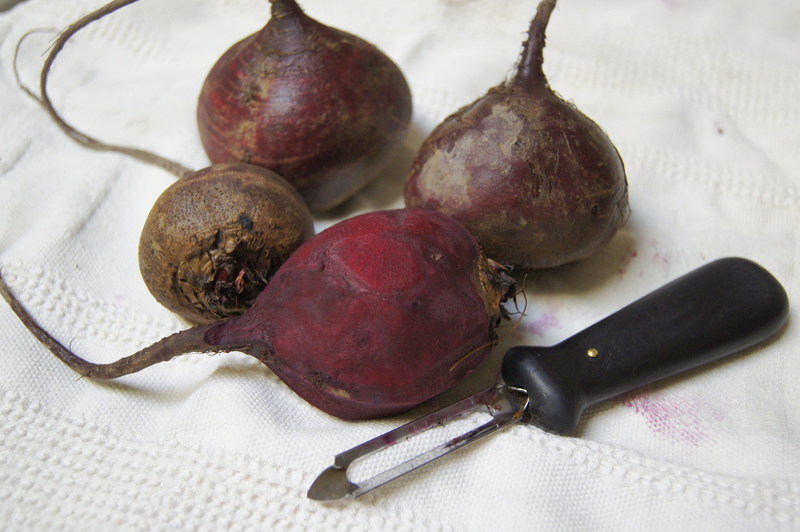 Continue until stiff, but not dry, glossy peaks form. Hooray, meringue! Carefully spread the meringue over the pie filling, making sure it is touching the crust all the way around—otherwise it might tragically slide off. You can use your spatula to gently form little loops and peaks in the meringue. Gently slide your pie back into the oven, and bake for another 20 minutes until the meringue is lightly browned. If you want to add even more toasty color to your meringue, you can employ a few minutes’ judicious use of a kitchen blowtorch or a small regular blowtorch. We borrow the blowtorch belonging to Mr. Grumpy Luscious, and he goes off muttering something about “girls” and “tools” and “not right.” We totally ignore him, which is standard operating procedure. 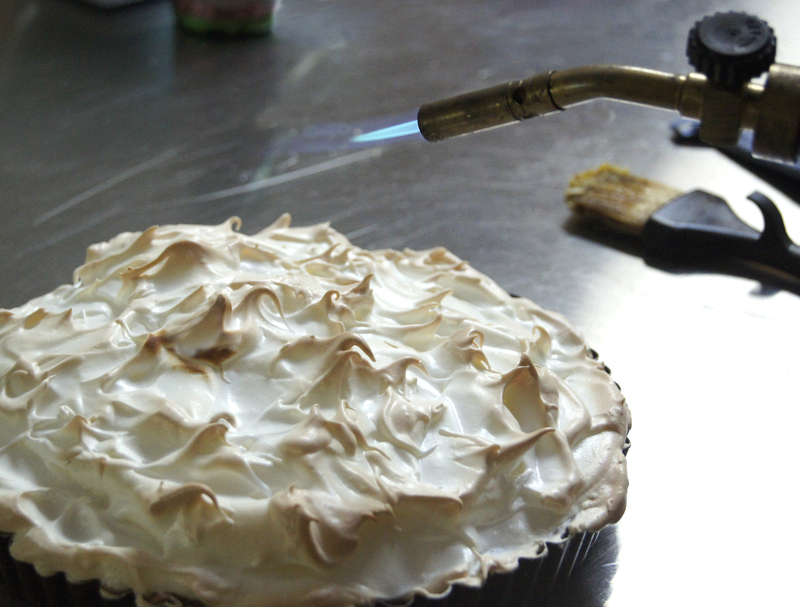 Using a blowtorch will make you feel a badass, even if it’s just for pie. Let your pie cool a little then pop in the refrigerate until cold. 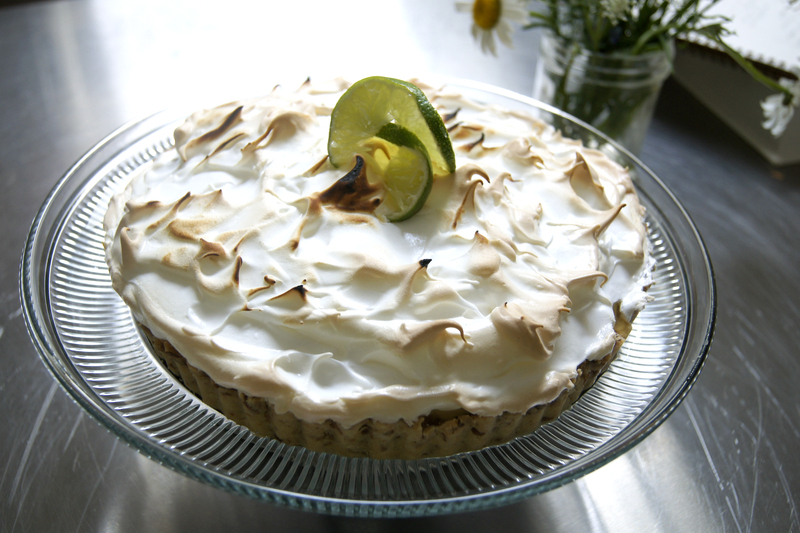 Garnish with lime slices and serve this beautiful pie to your favorite curmudgeon. Sweet and perfect for parties, unlike Mr. Luscious.